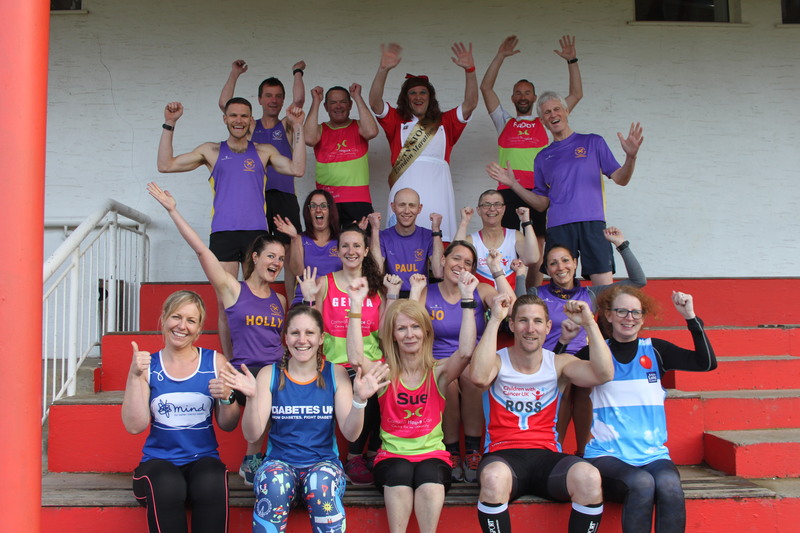 Over twenty members of St Austell Running Club will be taking to the streets of London on Sunday for the 2019 London Marathon. For some it will be their first marathon, for some their first London and for others it will be another fantastic experience at one of, if not, the greatest marathon in the world. 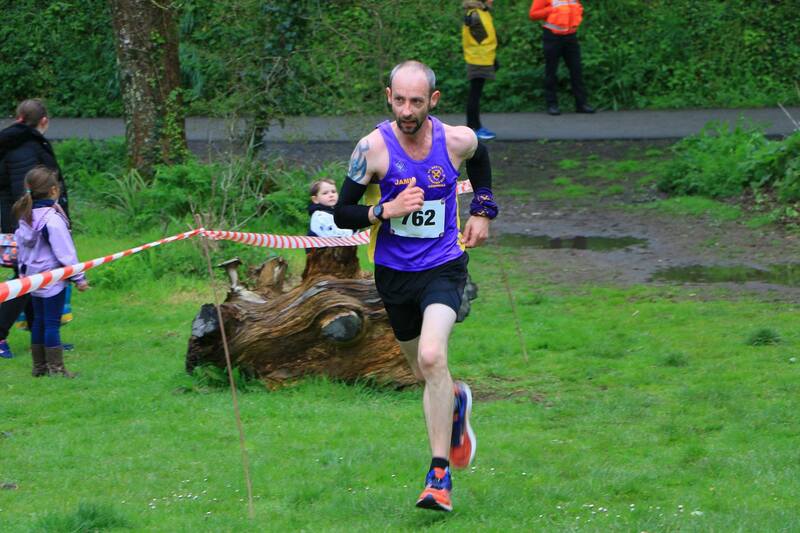 Leading from the front is likely to be Paul Maskell, who starts off the Championship start once again and he will be looking to continue his fine form over the marathon distance. James Cutlan will also be expected to do well in his first attempt of London, while all other runners will relish the moment and will be proud of their achievements, having trained hard over the past few months. 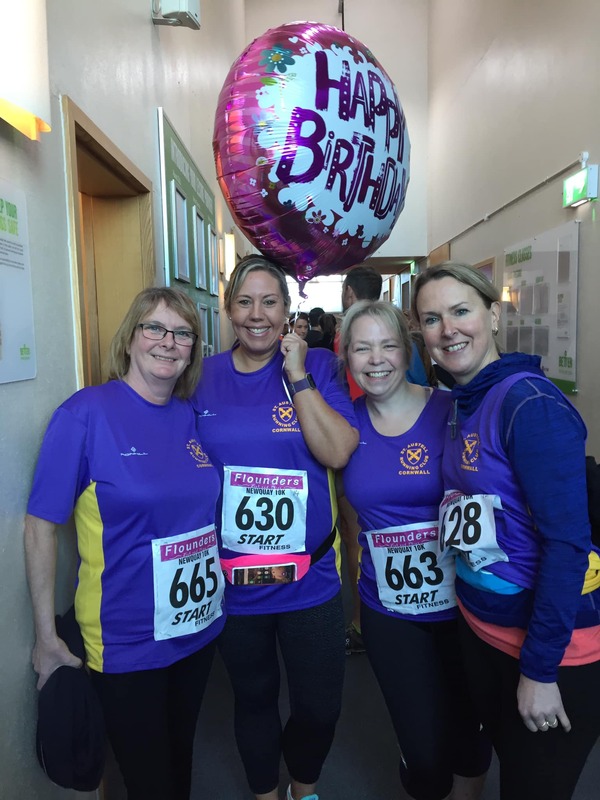 Among those running on the day for local charity will be the club’s own Betty Stoggs, who has already raised over £20,000 for Children’s Hospice South West and is targeting £26,000 by the time of the marathon. 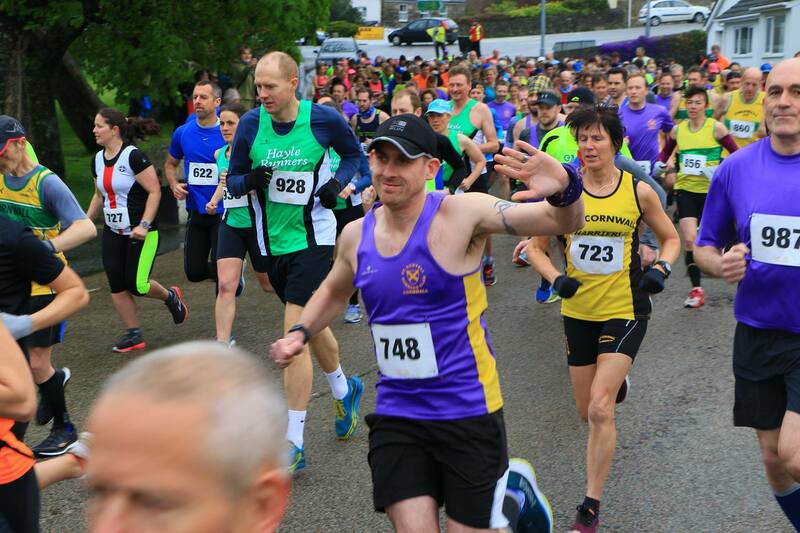 Cornwall Hospice Care will also be well represented with no less than eight runners running for them, Gennara Bray, Paddy Talen, Paul Johnson, Jodie Roycroft, Sue Floyd-Norris, Gary Jane and Viv and Shawn Ferris. 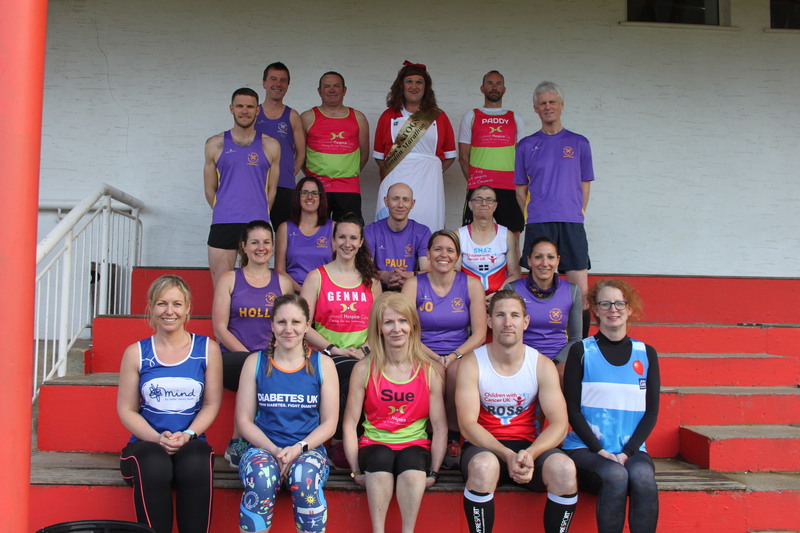 Sharon Webber and Ross Buscombe are running for Children with Cancer UK, Holly Payne for Rhino Ark, Kylie Johns for Diabetes UK, Jessie Retallick for Mind, Sam Ewart for the British Lung Foundation and Kath Wisner for the Chesnut Appeal. 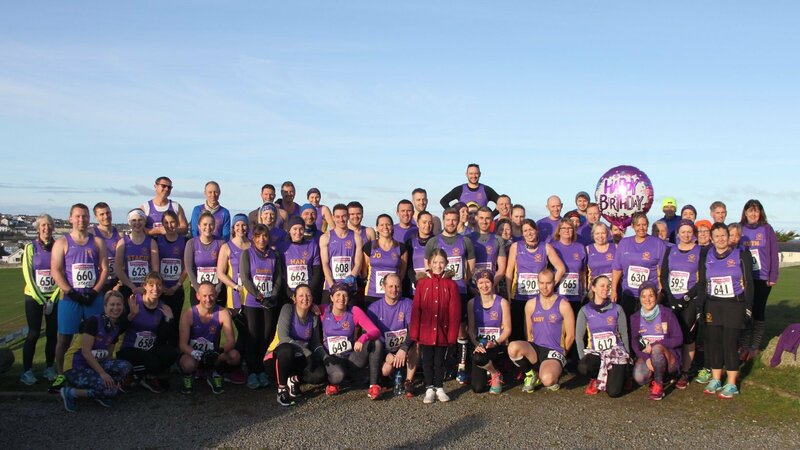 A full list of St Austell Running Club members running are: Michael Woodman, Sharon Webber, Ross Buscombe, Paul Johnson, Jo Skyba, Lisa Gower, Gennara Bray, Holy Payne, Kylie Johns, Jessie Retallick, Sam Ewart, Georgina Speake, Tim Adams, James Cutlan, Paddy Talen, Sue Floyd-Norris, Gary Jane, Fred Thomas, Kath Wisner, Jodie-May Gauld, Jodie Roycroft, Viv Ferris, Shawn Ferris, Paul Maskell, Dan Nicholls, Jez Mancer, Shaun Grose, Andy Budge and Stacie Marks. If you are not on the list please email me – garethrowett@gmail.com and I will add you to the list. Good luck to everyone, you’ve done us all proud, go and enjoy! 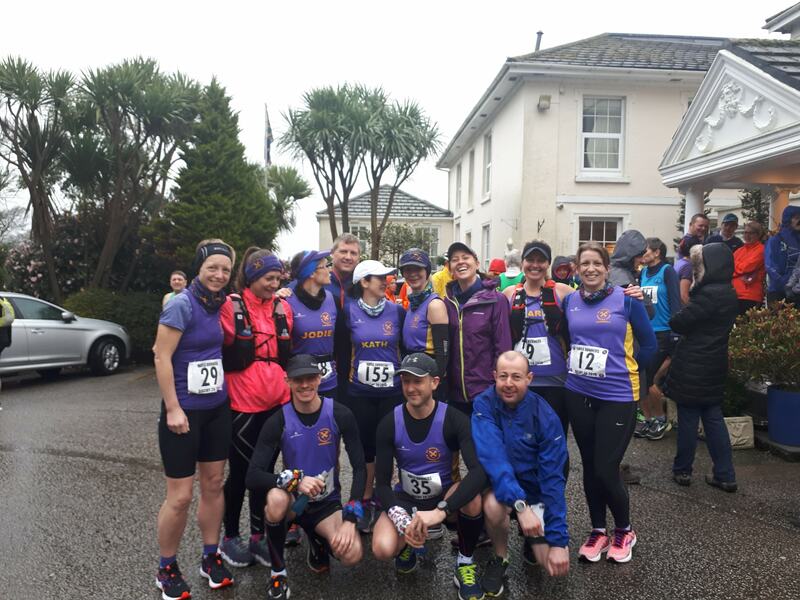 St Austell Running Club had another great turnout in the fifth race of the Cornwall Glass and Glazing Grand Prix, the An Res Hellys. 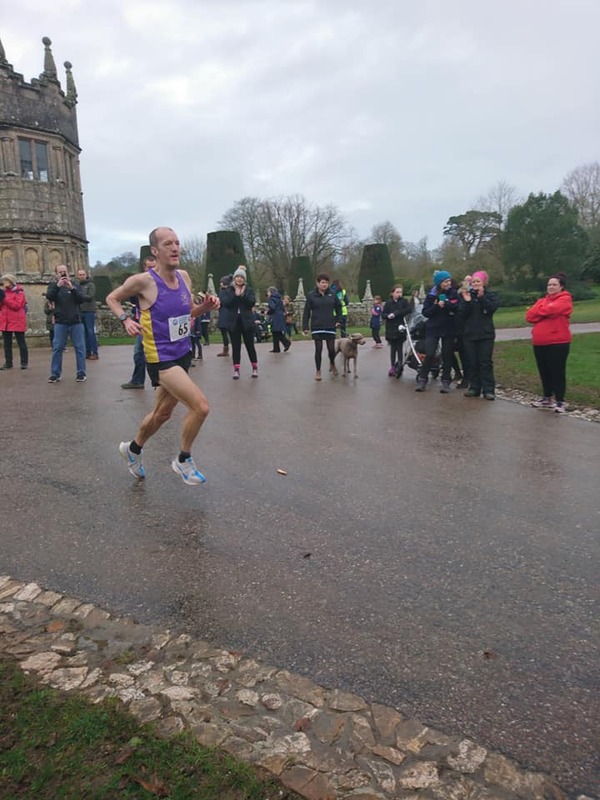 The popular ten-mile race drew another large entry from STARC and they showed some great spirit and determination with a number of PBs and a third-placed finish for the Men’s ‘A’ team. 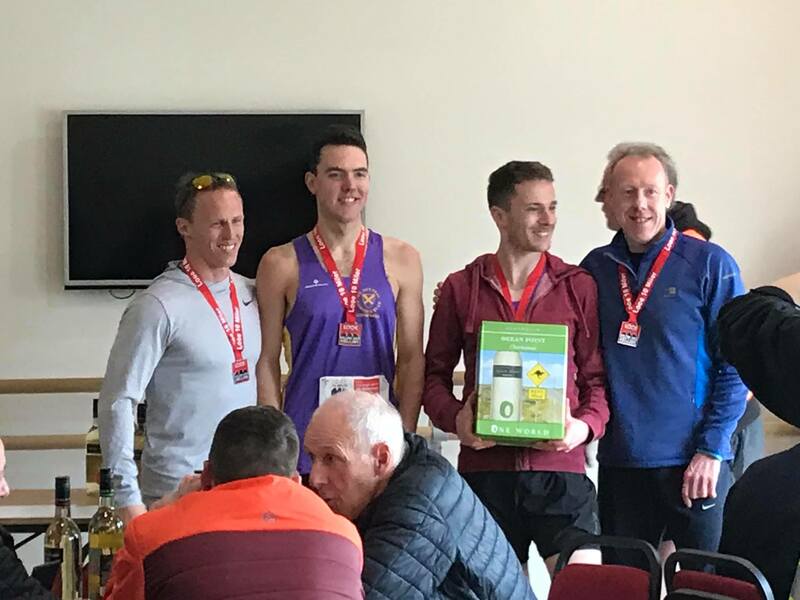 The Men’s team was led by Paul Stevens, who also finished with a third-place age category prize, and along with Dave Tregonning, Jamie Masters, Tim Adams, Denzil Williams and Mike Greer to pipped Hayle by a point to finish third and keep their good start to the season. 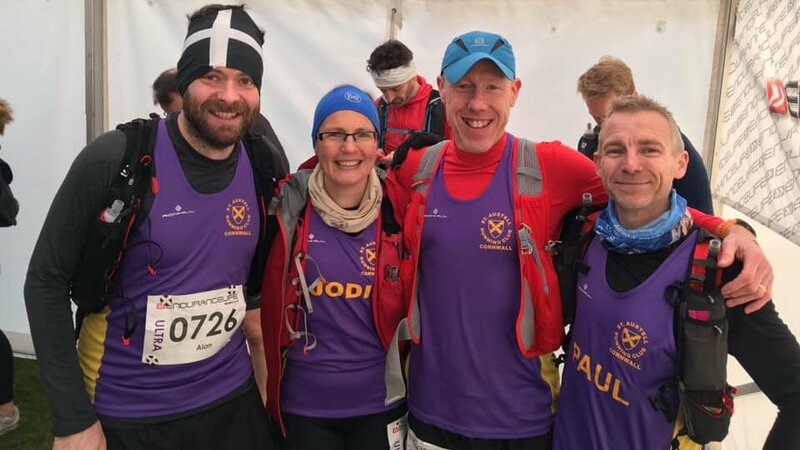 Going into the race, after the first four events, St Austell’s Men’s team were in first place, so they will hope their third place will keep them in pole position. It was a last burn off for many members who are taking part in the London Marathon in the next couple of weeks. 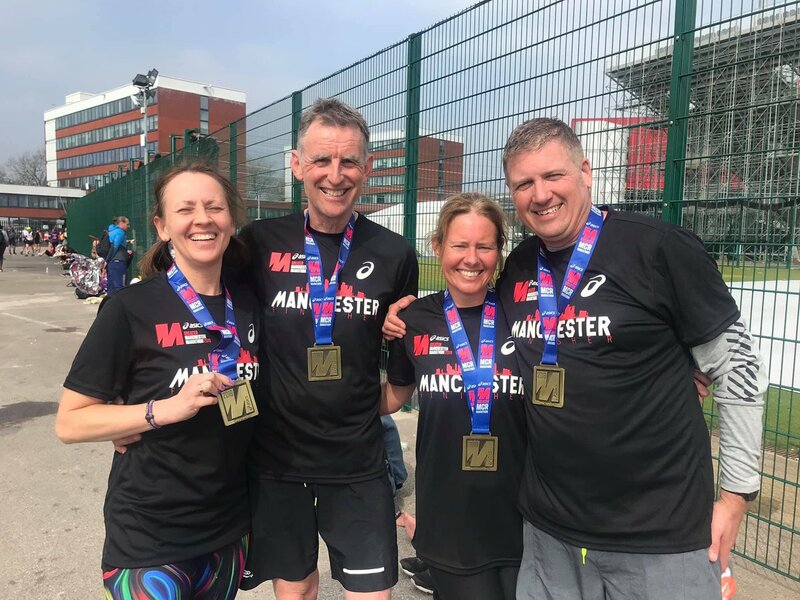 Also racing at the weekend were Stuart Richards, who took part in the Paris Marathon and Matt Phillips, who also raced in the continent, in Spain. 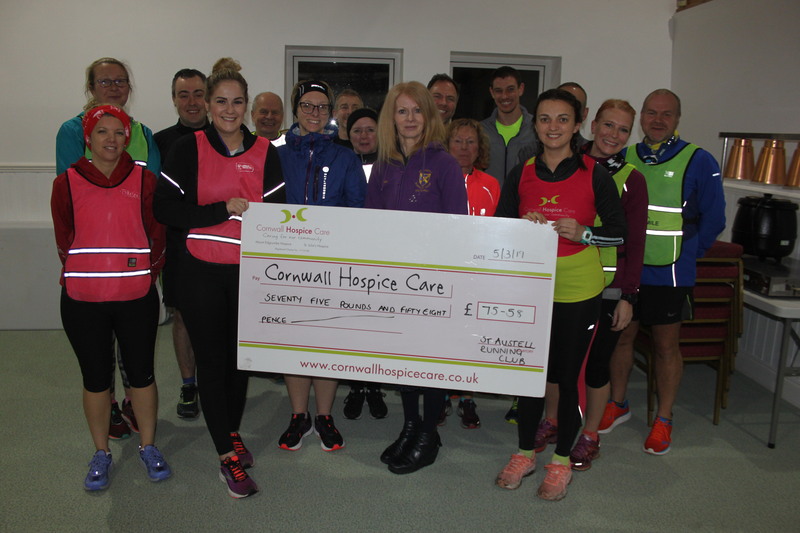 Members of St Austell Running Club handed over money raised from Christmas Tinsel Runs to local charity – Cornwall Hospice Care. Over £70 was raised over two nights in December, where club members dressed up in Christmas running attire, to take part in a run together. When it was all counted up the money was split between the club’s runners who are taking part in April’s London Marathon for the Hospice. Cornwall Hospice Care’s Community Fundraiser Jane Appleton is also a member of the club and was on hand to receive a cheque from men’s captain Gareth Rowett and ladies’ vice-captain Jacqui Martin, along with other club members. Men’s captain Gareth Rowett said: “It was really pleasing to hand over the cheque to Cornwall Hospice Care. “We have raised a lot of money for charities since starting out and this latest donation is just the latest in a long list of charity events. A big well done to all those racking up the miles in training runs this weekend and those who complete the Grizzly! 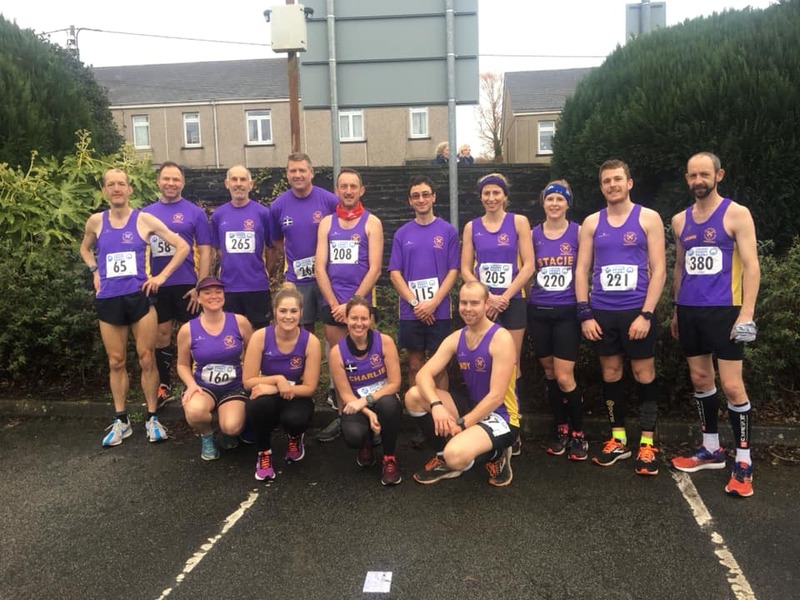 St Austell Running Club had excellent results at the returning Duchy 20 in atrocious conditions in Redruth on Sunday morning. Heavy rain and gale-force winds met runners who tackled the 20-mile route which will serve as perfect preparation for spring Marathons. One of the runners who is doing London is James Cutlan and his training kept up good pace as he finished second place overall coming in just ahead of clubmate Dan Alsop in third. The duo led the men’s team to another success with the ‘A’ team coming in first with Cutlan and Alsop joined by Tim Adams and Jacob Howard-Endean, making the team for the second week in a row. There were also age category prizes for Cutlan (second) and Alsop (first). Down the road at Redruth School several of the club’s runners represented other clubs in the last Westward League cross country meet of the season. While 24 hours before the horrific conditions in Redruth, runners took part in the Cousin Jack race. 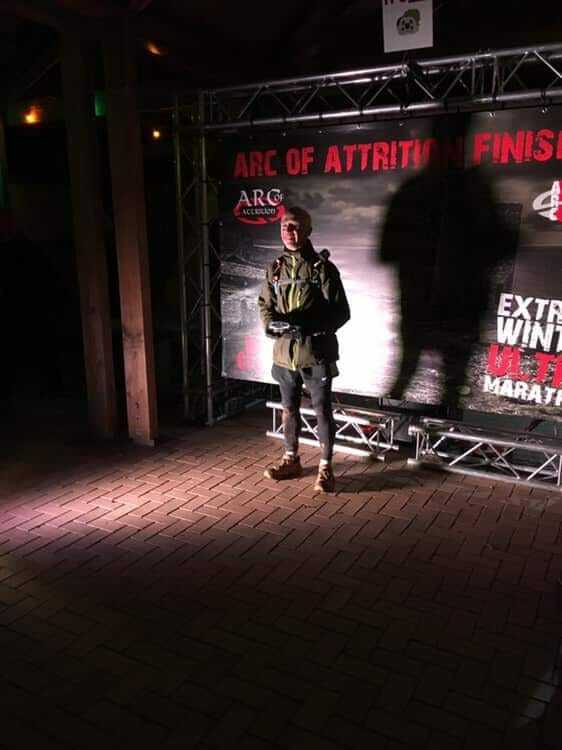 It was another outstanding achievement for Paul Maskell, who, when placed first in the 34-mile Ultra Jack event, broke the course record by an hour, to reign supreme. 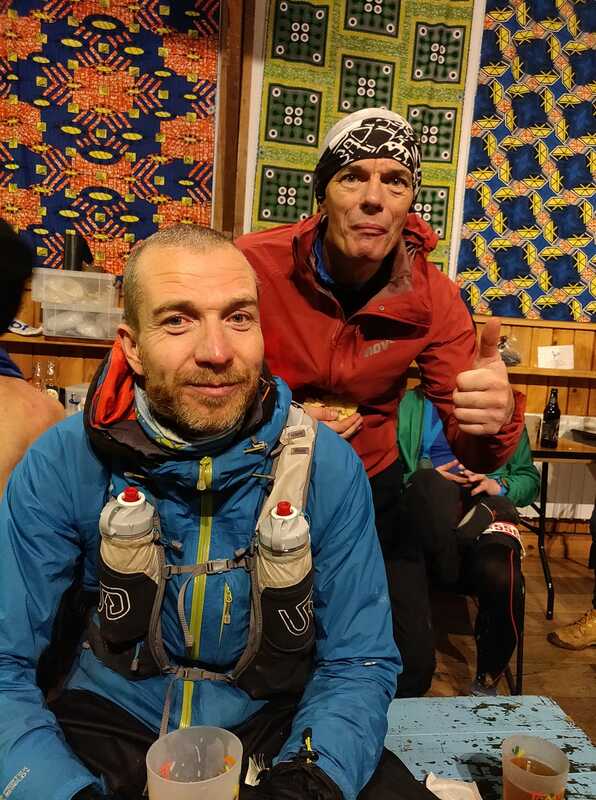 In the 17-mile Classic Jack event, Paul Stevens continued his fine ultra form to come second overall, with Paul Johnson and Steve Gardiner also completing the ultra. 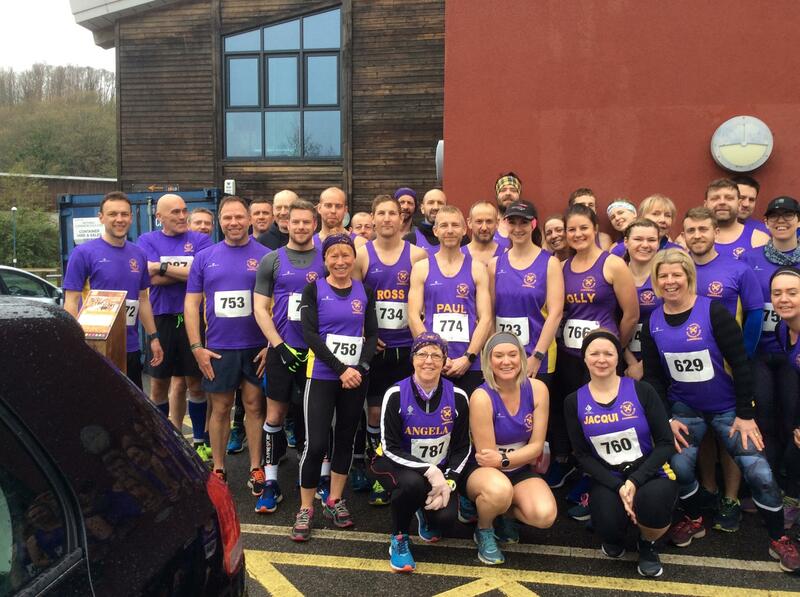 A fine weekend of racing for St Austell Running Club. 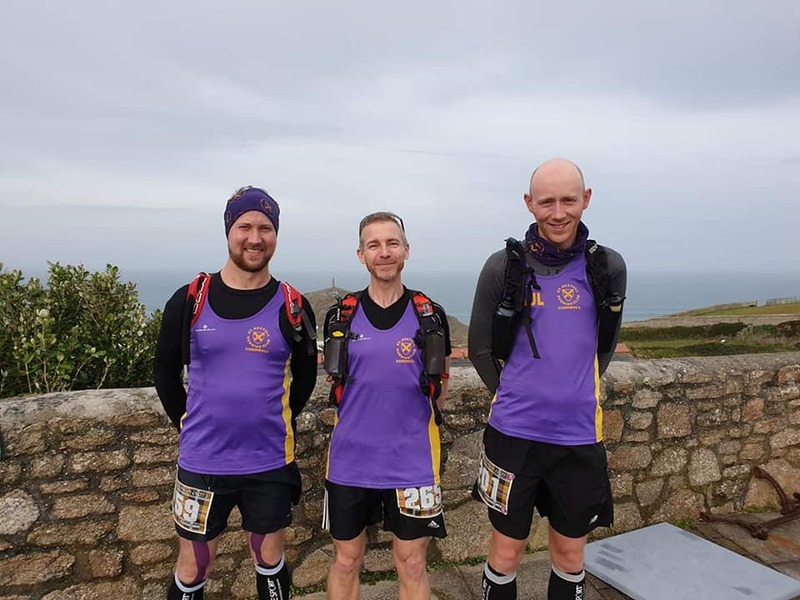 St Austell Running Club’s men’s ‘A’ and ‘B’ teams ruled the roost as they finished first and third at the Looe ten miler. Making a welcome return James Oke showed his natural ability to finish in third place on the aptly-named hilly and hellish course, and lead the men’s ‘A’ team to victory, in the latest Cornish Grand Prix race. Oke also came second in his age category as he led the team that also included Nick Loewendahl, David Tregonning, John Wisner, debutant Jacob Howard-Endean and Jason Parks to first place. The strength in depth assured the ‘B’ team of an unlikely third-place finish with Tim Adams, Mike Greer, Paul Johnson, Matthew Henderson, Malcolm Roberts and Lee Tambling making up a strong second six. There were also age cat prizes for Roberts and Winser, both second and third for Tregonning and Doug Aslop. Stacie Marks also finished as fourth female overall and along with Oke, Lowendahl and partner Tregonning were given provisional selection to run for the county. 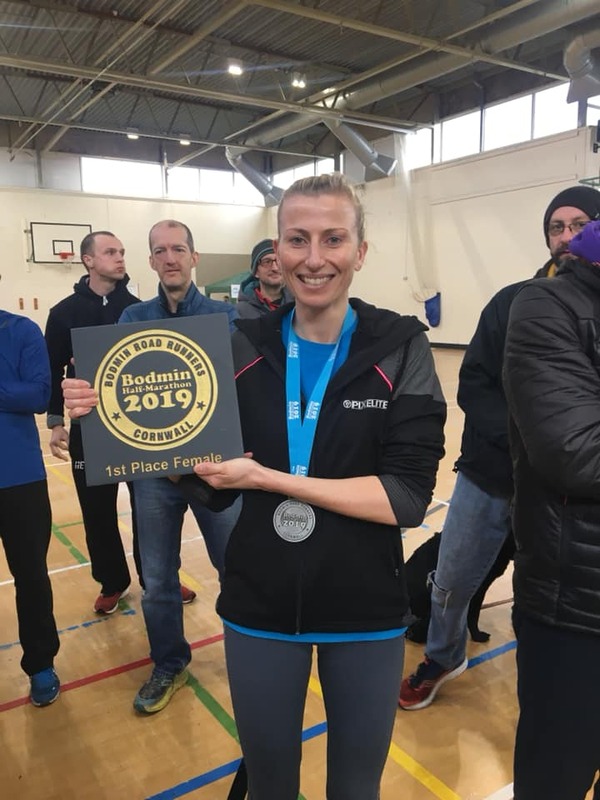 There were two first-placed finishes for St Austell Running Club as they reigned supreme at the Bodmin Half Marathon. Both Simon Williams and Alexandra Rusell-Smith continued their fine start to the new running seasons coming first overall in both the men’s and ladies’ race. Williams finished closely ahead of club-mate David Tregonning, who came in third place overall and also first in his age category. There were also age cat prizes for Malcolm Roberts (first), John Wisner and Jason Parks (second) and Jamie Masters (third). The men’s team completed a fine afternoon finishing first with Williams, Tregonning, Masters and Winser making the team and the ladies, Russell-Small, Stacie Marks, Karina Bowers and Holly Payne finishing third team overall, on a what is an extremely tough course.